From shiny baubles, boots and bags, to bold watches and manly bling, lavish the ones you love with a little extra glitz and glam this festive season. The natural appeal of these idyllic Indian Ocean isles is just the beginning; sprawling and deliciously private villa suites make for an out-of-this-world stay. When you reach the point of sensory overload, take respite in these luxe retreats, some ornate and others sleek, but all sublime—with service to match. Delve deep into Japan’s mystical traditions, mega-modern cities and cool cultural idiosyncrasies on our two-week luxury jaunt across this profoundly fascinating country. 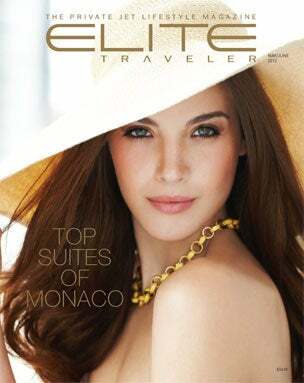 The latest updates in luxury travel, services and style, plus Glitterati on the Go, Confidante and a special elite shopping section. Your guide to the season’s most exclusive events around the world, from Art Basel Miami Beach to the 152nd Melbourne Cup in Australia. Elite Traveler is on the scene at Pebble Beach, the US Open, Thailand and beyond. Cutting-edge doesn’t have to be jarring: Innovative pieces from Rudis Sylva and Badollet make a case for harmony. Ring in the new year with one of these annual calendar beauts, all notable for their distinguished dials. Timepieces enlivened by hued stones add a splash of color (and whimsy) to your White Christmas. Ladies look regal with baroque-style ornamentation, and reimagined shearling shields gents from the cold. The right asset protection plan could be the best defense against frivolous lawsuits. With a sleek, wide cabin and enviable fuel economy, Dassault’s Falcon 2000S ups the super mid-size ante. Head south to warm climes (and waters) this winter, where three stunning vessels offer next-gen charters. Beneath the Jaguar XKR-S’s mild demeanor, you’ll discover enthralling power, plus Cadillac’s compact luxury ATS and Ford’s ever-cool Mustang. Hotel Bel-Air, fresh from a perfectly executed overhaul, charms clientele both old and new with a contemporary look that does justice to its Hollywood glory days.